Intellitec's Automatic Energy Select Switch (AESS) is designed to be used in RVs to share the power available from a single circuit breaker between two large loads. 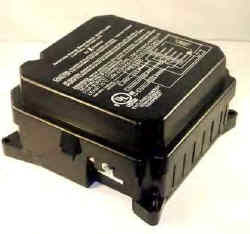 The AESS applies power to both appliances until the primary load is turned on. It then removes power from the secondary load to prevent the circuit breaker from being overloaded. This function is particularly useful for sharing power between the microwave oven and another "sheddable" or postpone-able appliance, such as the washer/dryer, or water heater. Typically, this function has performed with selector switches, forcing the owner to manually switch between the two appliances. The selecting function is particularly useful when the microwave oven is the principal load. Power is always available to it, assuring that the customer can use the microwave whenever required and it's internal clock remains operating. While the microwave is in use, the function of the secondary load is postponed until the microwave is finished. • MeetsNECsection 551-42(c) for adding breakers over the maximum limit of five and allowing for more than two, thermostatically controlled appliances. • Minimizes circuit breaker tripping. • Eliminates manual appliance select switches. The underlying principle of the AESS is that certain appliances used in an RV, such as the microwave oven, hair dryer, or toaster need to always be available, when the owner wants to use them. These are "on demand" appliances. The use of others, such as the washer/dryer, water heater, or air conditioner can be delayed to a slightly later time with little inconvenience to the owner. These are postpone-able loads. Postponing the use of these appliances leaves enough power to operate the "on demand" appliances. 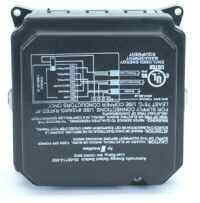 Power is supplied to the AESS from a single circuit breaker. An "on demand" load is connected as the primary load and a "shed-able" load is connected as the secondary load. When power is applied to the RV, it is supplied to both loads. When the primary load is turned off and at least 30 seconds has passed, power to the secondary load will be reapplied.